When it really comes down to it, there is a lot more that goes into maintaining the wooded areas of your property than what goes into maintaining your average lawn or garden. Forest ownership can be a time consuming, and labor intensive task, as there are a number of various task that you need to stay on top of in order to keep your wooded areas healthy, clean, and beautiful. 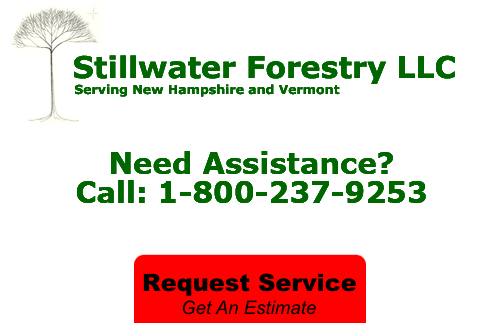 Here at Stillwater Forestry, LLC, our team of Randolph forestry management professionals have the skill and experience necessary to provide you with the comprehensive forestry management services you need to keep your property well maintained, looking beautiful, and profitable to boot. Do you find yourself in need of professional forestry services to help maintain your Randolph property? If so, give our team of professionals a call today and let us help you make the most of your woodland property. Here at Stillwater Forestry, LLC, our team of Randolph forestry management professionals have been providing property owners with the comprehensive services they need to keep their woodland areas clean, healthy, and beautiful since 2007. 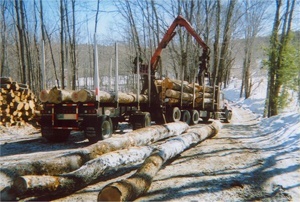 Our services are custom designed to fit your specific needs and those of your property, so whether your goal for your land is wildlife preservation, timber harvesting, or just to have your own quiet nature sanctuary, our team of Randolph forestry management professionals can help you achieve your goals for your property. If you have any questions about our full line of services, or if you would like to consult directly with one of our professionals, give us a call today. Our experts are standing by and would love to help. Periodic timber harvesting is an absolutely essential part of keeping your woodland areas healthy. The process of clearing away dead timber and harvesting any current growth is all part of the cycle of clearing room for new growth, and there is no one better suited to helping you with the task than our team of Randolph timber harvesting professionals. Our team of experts can help you identify your crop trees and help weed out those that are too unproductive or small to be of benefit to your wooded areas. Not only will this aid in the preservation of your woodland property by keeping it healthy and growing strong, but it will also help to maximize the profits you stand to gain from your timber harvest. Call us today for a free consultation where we can help you evaluate the timber on your property and provide you with a range of options. As a property owner, knowing where your boundary lines are and making sure that they are easily identified is incredibly important, especially when you own woodland property. Here at Stillwater Forestry, LLC, our team of Randolph forestry management professionals can help you keep your property's boundary line clean, clear, and easily identifiable in order to help cut down on trespassing, vandalism, and timber theft. If you are looking for a Randolph, NH forestry management service professional, give us a call today at 1-800-237-9253 or fill out our online request form.